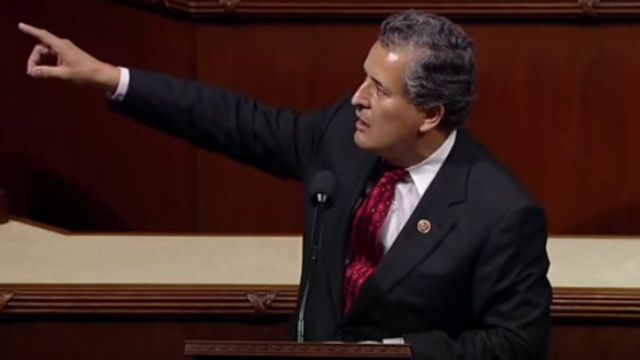 Rep. Juan Vargas, D-San Diego, introduced President Barack Obama at Thursday’s 64th annual National Prayer Breakfast in Washington, D.C., where the congressman served as a co-host. “Mr. President, we honor you for your dignity, we honor you for your integrity, we honor you for your faith,” Vargas said during his introductory speech. Vargas also shared how a fellow law school student singled-out Obama many years ago as a future Supreme Court justice. “So there’s still time, Mr. President, you’re a young man,” Vargas said. During his remarks, Obama called for unity among people of Christian, Jewish and Muslim faiths before more than 3,400 guests from all 50 states and 130 countries. Vargas said the nonpartisan event serves as a forum where leaders from all walks of life share personal experiences with faith. He was a co-host along with Rep. Robert Aderholt, R-Alabama.